Call of Duty: WWII returns players to the original theater of war that made the series popular, World War II. 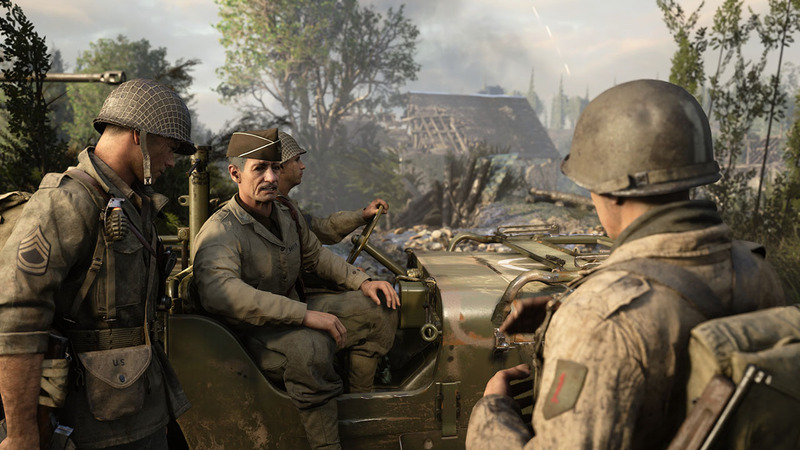 Both the original and the highly popular sequel, Call of Duty 2, put players into famous battle, but it was the second game’s d-day invasion mission, as players stormed the beaches of Normandy, that drew players into the game on a console. Like that game, Call of Duty: WWII starts right off with one of the most brutal battles of the time. It’s been sometime since we’ve played a historical shooter during WWII, mostly because a decade ago we were drowning in games that were afraid to break out of that time period. 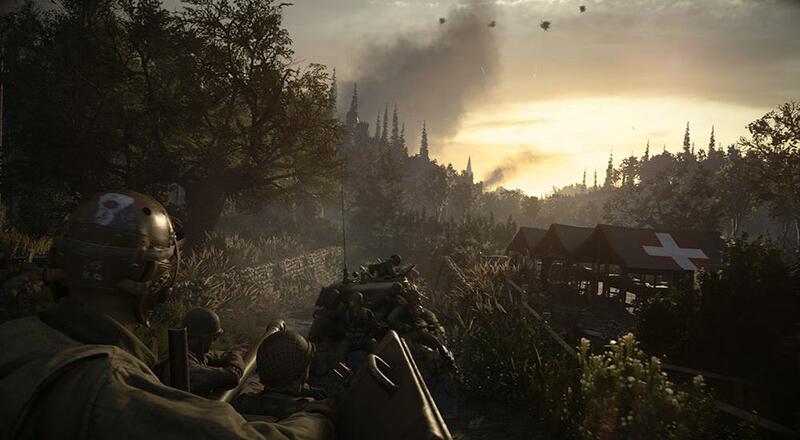 Thankfully that respite was just enough and playing a WWII shooter during this generation of games is a visual and audible treat. Just look on YouTube for comparison between this game and Call of Duty 2 and you’ll see just how far technology has come. There’s something to be said about putting yourself in the shoes of soldiers during a war you know was real versus some fictional futuristic setting. It draws you in, helps you empathize, and adds gravity to the situations in which the developers have you experience. Call of Duty: WWII feels like a an extension of HBO’s 2001 series Band of Brothers. You’ll follow the story of a squad during campaigns from 1944 to 1945, from the beaches of Normandy to the forests of the Eastern front. You’ll mostly play in the shoes of Red Daniels, though at times, you are popped into other character’s perspectives. Sadly the campaign does not have co-op play despite the strong emphasis on teamwork and your squad. Whether a mission has you split up and cover each other, completing divergent objectives, or dragging downed allies out of battle for heroic actions. The lack of co-op is disappointing - especially since the last World War 2 Call of Duty was the last game to feature it in the story mode. WWII does return to the roots of the classic shooter - no health regeneration or unlimited sprint. Instead you have limited medkits to utilize that can be “regenerated” from a squad member over an extended time period. Other squad abilities refill your ammo, give you grenades, or call in mortars on a designated position. All of these are time limited in use but do help keep the pace of the level moving. At times the medkit thing feels a bit cheap, breaking from the realism of the scenario in front of you. All in all the campaign itself is a breath of fresh air. It feels like a classic shooter for the modern day with a really well done storyline. Graphically the game is gorgeous on PC with highly detailed textures, lighting, and solid performance. There’s a great balance of missions from all out action, sneaking, and vehicle combat - I never got bored through the whole campaign. I’ll briefly touch on the competitive multiplayer before talking co-op. This year features some of the biggest changes to the establish CoD formula. Instead of the usual classes we’ve seen since Modern Warfare, WWII features something called Divisions. Players select one of five divisions that feature unique training and weapon skills. Instead of perks, players progress through ranks in each division in order to unlock additional skills for battle. For the most part, these are a facade of classes as each division has strengths and weaknesses. There’s also a social zone now and the ever present “card” unlocks to keep the folks coming back for more. Gameplay is more grounded, you won’t be aiming at folks double jumping everywhere. All in all the competitive mode is a fun distraction for me, but it’s never been my cup of tea. Last up is co-op, this year it’s once again Nazi Zombies. Call of Duty: World at War introduced us to the mode 10 years ago and this year’s may be the biggest change since. Gone is the “base building” aspect, where reinforcing doors and windows earned you cash. The focus is on the level itself and the puzzle like aspects of unlocking the next area. The mode is also a bit more serious than the past few years, the zombies in my opinion are much creepier and the game attempts to have several jump scare moments with zombies dropping in from high ledges or popping up suddenly from the ground. You still have the famous Hollywood characters to choose from - Ving Rhames, David Tennant, Elodie Yung, and Katheryn Winnick - all lending their voices and likeness to the zombie campaign. There’s also slots for many new characters to come with DLC, though we aren’t sure who will fill those roles. There are two maps available to play - one a simple survival style house for straight up zombie slaying. The other is an intricate European style village where players must work together to complete a secret weapon to eradicate the zombie menace. Each wave of zombies means tougher enemies, so you’ll need to continually push forward upgrading your weapons to a more powerful version. Later waves introduce hulking zombies that are even more difficult to take down, some of these are strapped with bombs, flamethrowers, or spiked clubs to make your day a whole lot worse. 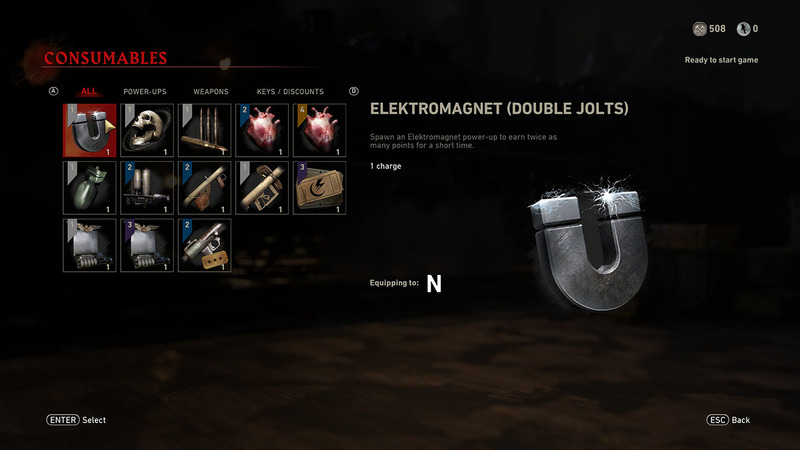 You can hold four perks that you can purchase around the level - a necessity to survive in later waves. My two personal favorite are the electric reload (you discharge a stun when reloading) and the enhanced sprint (run like hell). The meta game around Nazi Zombies has changed quite a bit, with a class like system and a perk unlock system that lets you customize what abilities and consumables your character brings into each match. Call of Duty: WWII’s take on Nazi Zombies is both fresh and familiar at the same time. There’s just enough of a clue in each section on what you’ll need to do next to progress and there’s that fine balance of fight or flight. The return to a horror focus is great too and overall I think people will keep coming back to this. Once again Activision has released something that’s truly worth your $60 with a ton of content for any player - story, competitive and co-op. Of course they want to hook you for the $60 worth of DLC coming too, but it’s hard to be mad at what’s included. 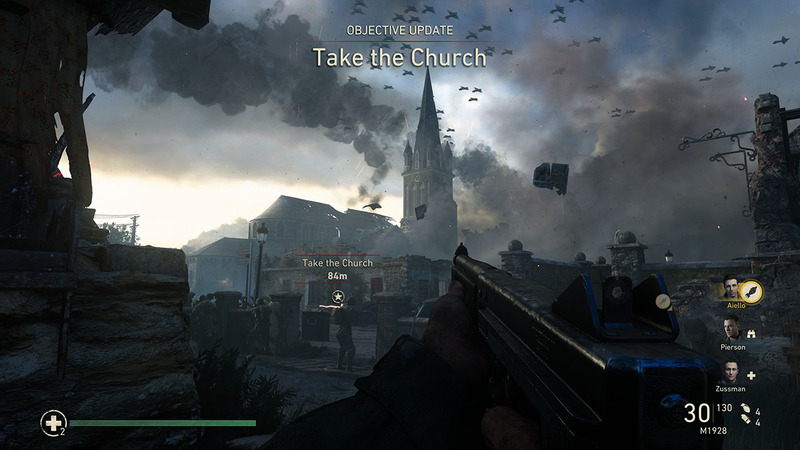 The return to WWII is a breath of fresh air and the changes to Nazi Zombies co-op mode are welcome too. It’s not easy to release a franchise every year for over a decade and keep it as popular as Call of Duty, but somehow and someway the series keeps delivering. 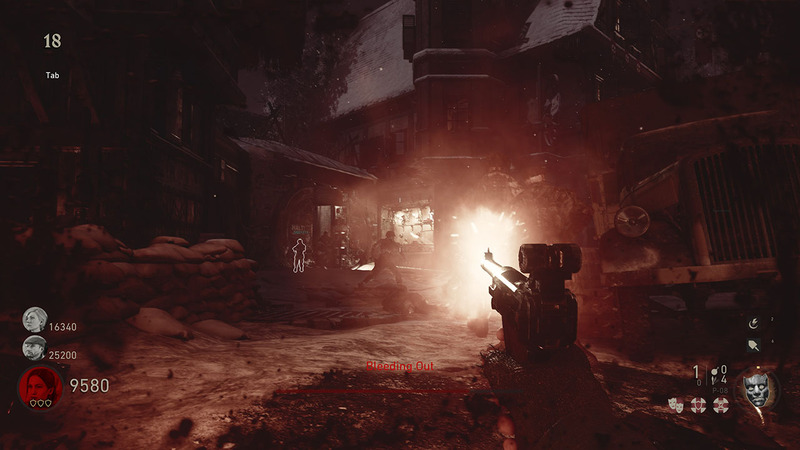 The Co-Op Experience: Call of Duty: WWII Nazi Zombies is an original, terrifying co-operative mode that unleashes a frightening new horror story for Call of Duty zombies fans. Nothing is as it seems in this zombies horror, as a dark and sinister plot unfolds to unleash an invincible army of the dead. This co-op mode supports up to four players online. On consoles, two player local co-op is supported in the Nazi Zombies mode, as well as combo co-op for up to four people. Page created in 0.4481 seconds.